Juan Carlos Blanco Estrada was born on 19 June 1934 in Montevideo and is descended from a family of politicians. After receiving his license to practice law, Blanco worked for the OAS (Organization of American States) between 1962 and 1971. He became vice-chancellor of the Republic in 1971. In November 1972 he was appointed minister of foreign affairs under the presidency of Juan María Bordaberry, a status he held under the military dictatorship established by the said President. The regime appointed him representative to the UN in 1982, and Juan Carlos Blanco remained in office until the advent of democracy in 1985. In 1973, a deep conflict emerged between the President, Juan María Bordaberry, the General Assembly and the army. The latter did not approve the appointment of the Minister of National Defence by the President. 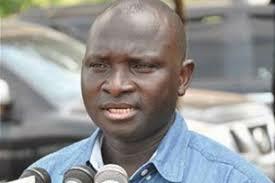 Bordaberry then suspended the constitution, dissolved the General Assembly to replace it by the State Council and concluded an arrangement with the army: the pact of Boisso Lanza. This ensured the military for the advisory role and political participation in decision-making. The new regime was established as a de facto military dictatorship under close supervision of the army and proclaimed itself “Proceso de reconstrucción nacional” (national reconstruction process). This regime was based on the “National Security Doctrine”, according to which two blocks whose values are incompatible are juxtaposed: Christian and capitalist West (corresponding to the values of the new regime) and the communist and atheist East. The repression against political opponents of the dictatorship, perpetrated by the Uruguayan army in the name of this struggle was intense. On 20 May 1976, parliamentarians Zelmar Michelini (Broad Front) and Héctor Gutiérrez Ruiz (National Party) were assassinated in Buenos Aires, as well as a communist and two Tupamaros (members of the Movement of National Liberation), Rosario Barredo and William Whitelaw, as part of Operation Condor (companions of joint assassination of services of Chile, Argentina, Bolivia, Brazil, Paraguay and Uruguay against dissidents in the dictatorial regime). The assassination was to prevent the establishment of a common front against the dictatorship, composed of the Artiguista Liberation Union (UAL), which incorporated in 1974 the fraction “New Time” of MLN-T with the founder of the Union People (predecessor of the Broad Front) Enrique Erro, Michelini, the “Unifying Group of Action” (GAU) and “Militant Socialist Grouping” (AMS). Detained since 2006, Juan Carlos Blanco was accused of having participated, with the former President of Uruguay, Juan Maria Bordaberry, in the assassination of two congressmen and two left-wing activists in 1976. On 26 June 1976, again as part of Operation Condor, Elena Quinteros, a member of the Uruguayan Anarchist Federation (FAU) and Director of the Party for victory of the people (PVP) since 1975 was kidnapped in the gardens of the Venezuelan Embassy in Montevideo, where she had come to seek political asylum. Her abduction caused, moreover, the breakup of diplomatic relations between Uruguay and Venezuela until the return to democracy in 1985. Elena Quinteros was then taken by the division of the army to a clandestine detention centre “300 Carlos.” After an attempted escape on 28 June 1976, near the Venezuelan embassy, she was returned to prison and subjected to torture. Elena Quinteros died while in custody later in the year 1976. On 16 November 2006, following a complaint filed on 15 November 2002, Judge Dr. Robert Uruguay Timbal issued a warrant of arrest against Juan María Bordaberry and Juan Carlos Blanco, head of the foreign ministry in 1976 for violating the constitution, homicides and enforced disappearances against parliamentary Zelmar Michelini and Héctor Gutiérrez Ruiz and the Tupamaros. 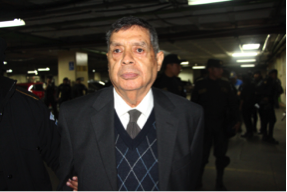 Juan Carlos Blanco is detained since 17 November 2006 by Judge Roberto Timbal. On 1 June 2007, the Court of Appeal confirmed the opening of the procedure. In 2008, the Uruguayan Prosecutor Mirtha Guianze introduced a request to the conviction of Juan Carlos Blanco for the enforced disappearance of Elena Quinteros. On 22 April 2010, the Uruguayan Judge Juan Carlos Fernandez Lecchini rejected the determination of enforced disappearance, preferring the heavier charge of aggravated homicide and condemned Juan Carlos Blanco to 20 years in prison for his role as co-author of the aggravated homicide against Elena Quinteros. Also at the historic order on 10 February 2010 rendered by Judge Mariana Mota, the law of “Lapse of Punitive State claim,” entered into force in 1986 and confirmed in 1989, which granted amnesty to police and military forces for violations of human rights committed during the military dictatorship (1973-1985), was declared unconstitutional by the Supreme Court. The annulment of this law allows the reopening of many violations of human rights. In February 2010, lawyers for the families of two murdered MPs in 1976, Zelmar Michelini and Héctor Gutiérrez Ruiz, presented a new request for investigation to the case 14216 / 03 dealing with crimes against human rights committed by the Uruguayan and Argentine armed forces in Argentina. Upon accession to the presidency, in December 1967, of Jorge Pacheco Areco, Uruguay entered a long period of repression. In order to confront the social movements and trade unions due to the serious economic and social crisis in the country, security measures were voted and maintained durably, especially censorship and detention without charges. To repress the socialists and communists, the Pacheco government supported the death squadrons and the police started to make use of torture. 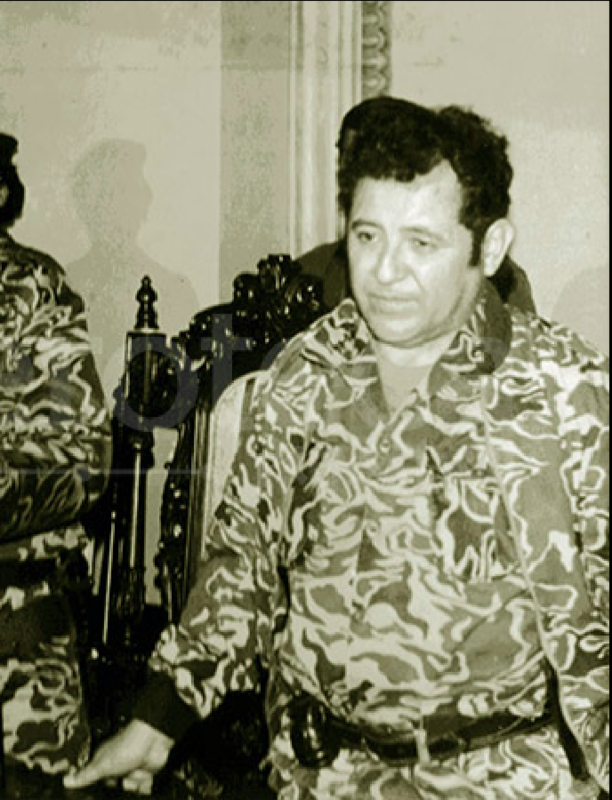 In November 1971, Juan María Bordaberry, supporter by Pacheco, won the elections and the army took so much importance that they gained significant control over Bordaberry after a coup in 1973. The military dictatorship dissolved the political parties, suspended the Constitution and put one out of 450 inhabitants of Uruguay in jail. In In the years 1970, the Uruguayan government joined Argentina, Brazil, Paraguay, Chile and Bolivia, all governed by dictatorial regimes and all controlled by the CIA, to coordinate their efforts in order to eliminate political opponents, regularly subjecting them to torture. In that context of persecutions, violence was used in a systematical way to exterminate the “communist world”. This plan, called “Operation Condor”, operated in three major ways: the activities of political monitoring of dissident political refugees and people in exile, secret counter-insurrectional actions and joint actions of extermination directed against specific groups or individuals, for which special teams of killers operating in and outside the borders were formed (also in Europe and the United States). The opponents were placed in clandestine detention centers. The military dictatorship only ended with the elections in 1984 and the liberation of political prisoners in 1985. In 1986, in order to promote national reconciliation, president Sanguinetti approved the Law of expiry on punitive claims by the State, which grants amnesty de facto for all crimes committed by the military during the dictatorship and until 1985, any prosecution having to be approved by the executive. It is only under the presidency of Tabaré Vazquez (socialist), in 2005, that the executive started to authorize prosecutions against militaries involved in violations of human rights. Finally, on 27 October 2011, the Uruguayan Congress adopted a law that considers the crimes committed during the military rule as crimes against humanity and therefore imprescriptible and that eliminates the effects of the 1986 Amnesty Law. In October 2000, president Jorge Battle created a Commission for Peace, which has no judicial power but can investigate and establish facts in its report, published in 2003. However, the Commission for Peace itself admits that its work was insufficient because it had to face the reluctance of the armed forces and of the police. A survey has shown that 80% of the persons aged 18 to 29 years old in Uruguay are unable to give the name of one dictator.